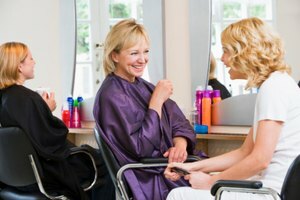 When adding colored streaks or highlights to your hair, the standard technique is to use strips of foil to contain the color or bleach. The use and placement of the foil allows you to add color or highlights exactly where you intend, adding in as much or as little as desired. Foil techniques break down into how much foil to use, preparing the foil and whether to place the foil horizontally or vertically in your hair. Before placing the foil strip in your hair, decide if this color strip or section to be highlighted will contain a large section of hair or a small one. Cut the piece of foil, if doing a small section of hair, such as a portion of your bangs. Or, if your hair is short, smaller pieces of foil will be easier to manage. Likewise, if putting in lots of color patches, smaller pieces of foil will better fit. Fold the edge of the foil to create a sturdier edge for placing against the hairline. You can fold the foil over the tail end of a rat-tail comb, or simply fold it by hand, creasing the edge. 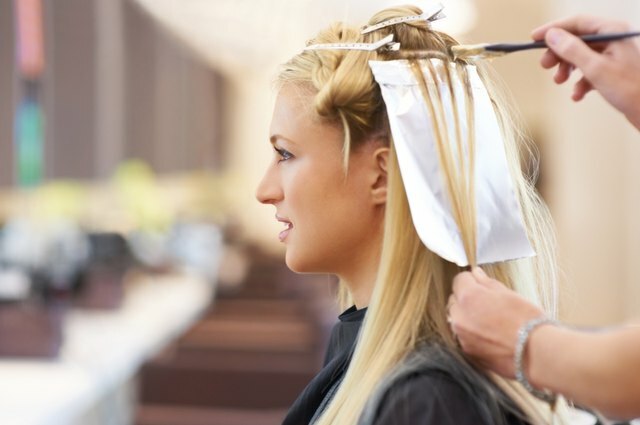 Many people find it easier to use the comb (with the foil folded over the end) to help hold the foil in place while covering the hair with dye or bleach. Try the technique with and without the comb. For putting in highlights or a sparse layer of color over your hair, use a horizontal placement technique. The strip of foil is placed horizontally in the hair, horizontal to the part. Take a comb and section out a thin layer of hair. 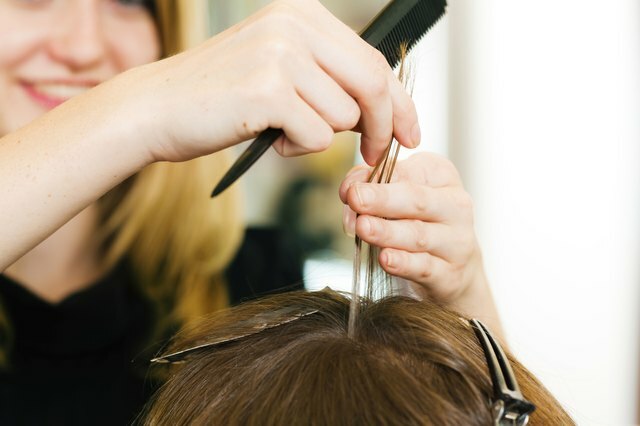 Use the comb's tail to make sure you have only a few hairs scattered along the section line. Place the foil beneath this and pool the hair onto the foil. Cover with color or bleach and fold the foil in thirds over the hair. Then roll up the foil from the bottom to the hairline. For creating a colored or bleached streak, place the foil vertically, sectioning off a vertical strip of hair. Again use a comb to section the hair. Place the foil alongside vertically, perpendicular to the hair's natural part. 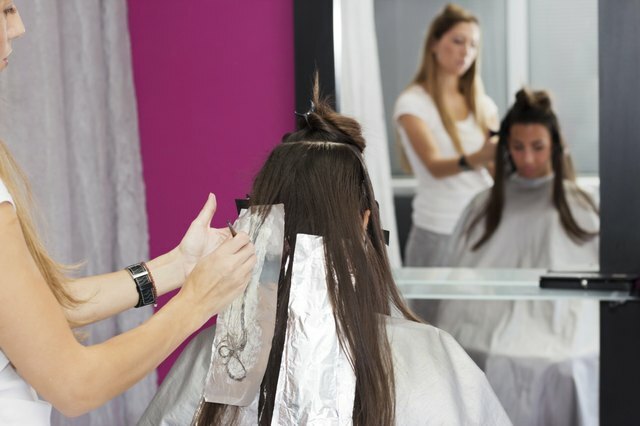 Sweep the hair onto the foil and cover with color or bleach before folding the foil over in three sections. 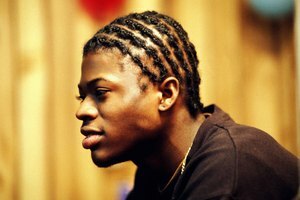 Then roll from the bottom to the hairline to trap the processing hair.